​In February and March 2016 we have been blessed with two dental teams coming from Norway. They have been working together with local dentists in different communities. We have served inmates in Iwahig Penalty Farm in Palawan and people in ten different communities in Palawan, Leyte and Mindoro. Close to 1000 patients have received much needed help with their teeth. We like to say thank you to doctor Tom Bagaas and doctor Kari M Østeholt for bringing their teams to serve the people in our health program. 5000 New Testaments are ready to be distributed to inmates in 12 different prisons when Jan Eriksen comes to minister in the Philippines first part of November. We believe God is preparing the hearts of many people to hear the good news. 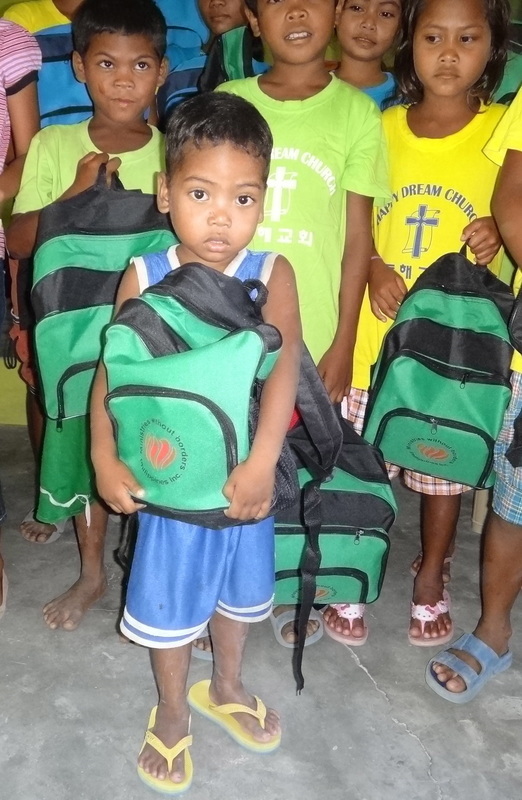 Almost every day in April and May we are giving out school supplies to poor children to help them go to school. In addition to helping poor families, we also advice and teach parents how to give priority to education for their children and spend the little they have in the right way. When we help them in their needs, we also have a voice to teach them a better way. We have a very good working relationship with PNP in Abra de Ilog. Every camp they come to teach on drugs. This time the chief of the police came to lecture. We have the same goal: A drugfree Philippines. 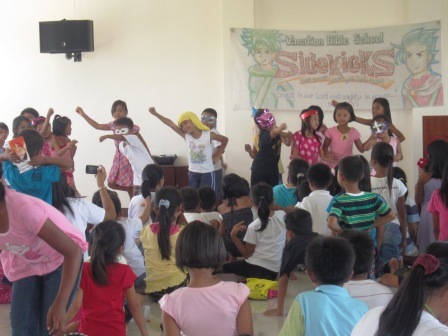 Vacation Bible School (VBS) is a great concept developed in the Philippines to help and bless children. We have seen more than 250 volunteers been equipped and giving their time to help children in depressed areas and rural villages. The VBS or kids camps are brightening up the days for thousands of children. 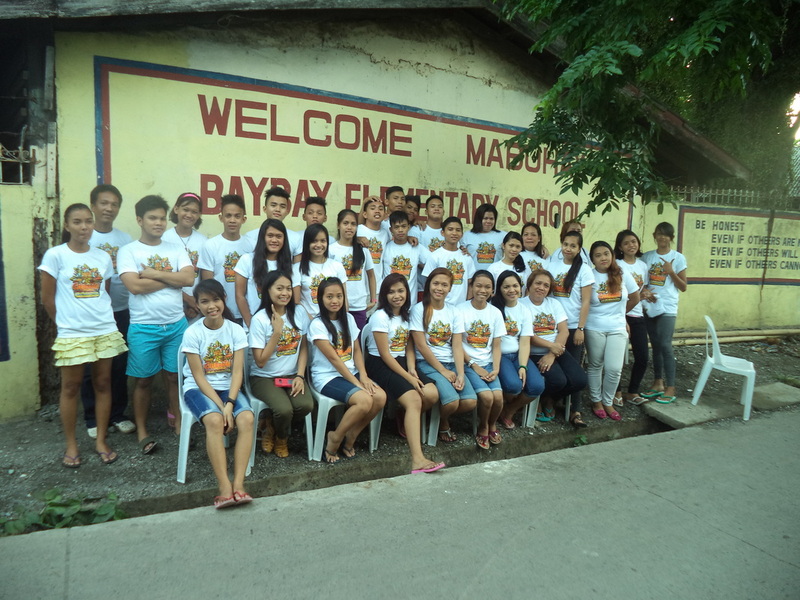 The picture is from Ozamiz where the church has equipped more than 30 teachers for Kids Camps (VBS). They are going out in different poor communities and give the children some great days with the word of God, songs and activities. The army of the Lord is moving forward and our weapons are the love of God and the Word of God! One night a women and her husband arrived in our clinic. No less than an hour later a beautiful baby was born. They told us how they rushed to a nearby clinic when the birth pangs started, but was turned away because they could not pay 5000 pesos up front. They had heared about our clinic and they were so grateful that love and not profit was the decisive factor for help. 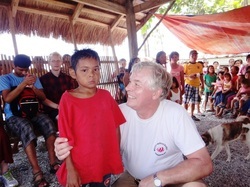 A year ago at the distribution of school supplies, I met this boy in one of the remote villages in Mindoro. He had a cleft lip and was so wounded by people teasing him that he took up stones to throw at us when we saw him. 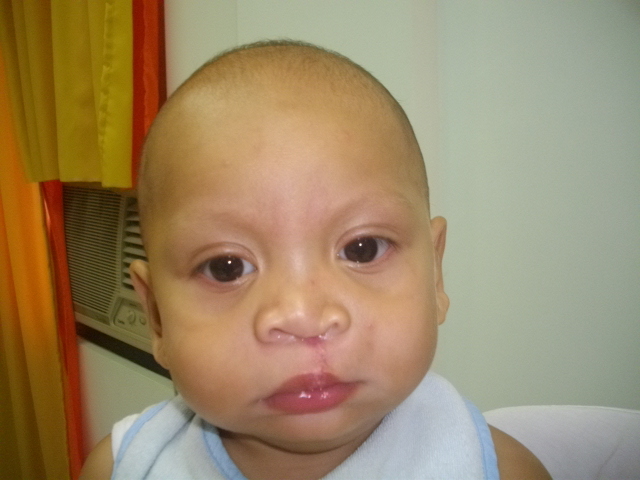 Last August he was operated on in our medical mission and now he is also healed from rejection and hurt. He is very grateful and was even singing a worship song for us. The people in the village have witnessed a total change in the boy. Glory to God! 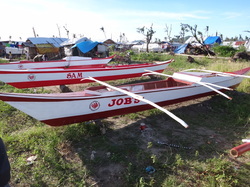 We are helping 50 families to get new boats after the typoon Yolanda in Palo. We have also given fishing nets to all the families. In making so many new boats the challenge have been to find the special tree (wood) they use for making the keel. We can only find this type of tree in the mountains on the next island. The optimism is back and the fishermen make their nets ready for a catch. New boats are on the water and many are giving praises to the name of Jesus! The Philippines has been in the world news after the typhoon Yolanda (Filipino name) or Haiyan (international name) made landfall in the Philippines November 8. Lots of countries have responded and are willing to help in the affected areas. This is the strongest Typhoon on record and the destructions are enormous. 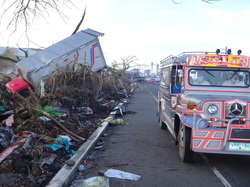 On the first picture you see our jeepney that brought 6 ton of rice + noodles, sardines and other food together with medicines to Tacloban and Ormoc. 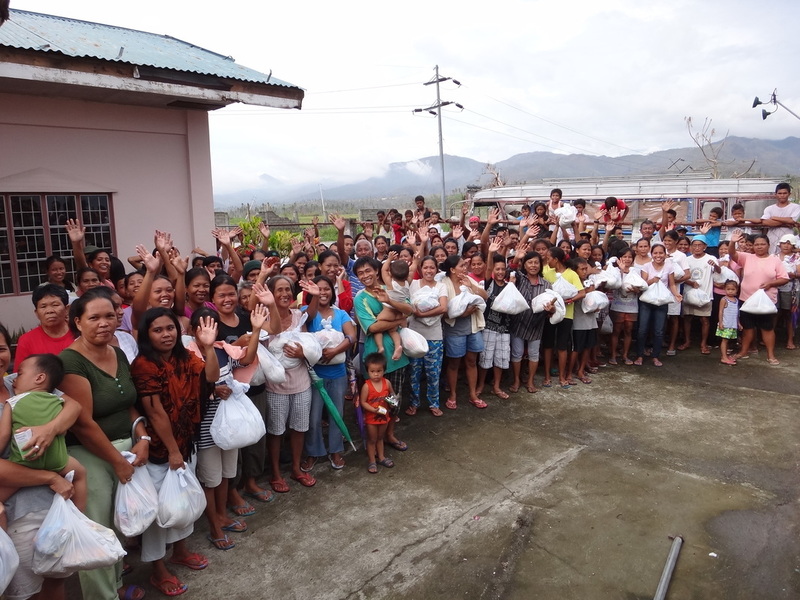 We have been helping 2200 families so far. Our social worker (DOO), Gemma Parcia is doing an outstanding job in cutting through the hindrances and reaching the hungry and suffering families. Some places the stench is unbearable and dead bodies are still found almost three weeks after the tragedy. Some areas are totally devastated and there is nothing left standing, like the area of Tacloban were the typhoon made landfall and the surge came together with the strong wind and rain. Many places people have lost their houses and have just found some scrap and made a temporary shelter for their families and many are hungry and weary in this situation. In bringing food, clothes and medicines to the suffering and needy, we always bring the good tidings of the wonderful love of God. Our God give us hope in a hopeless situation. It is good when people turn to the living God in times of trouble. It is good to see the help is reaching those in need. 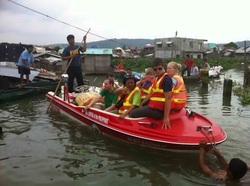 We are impressed by the Filipino people how they overcome the difficulties. 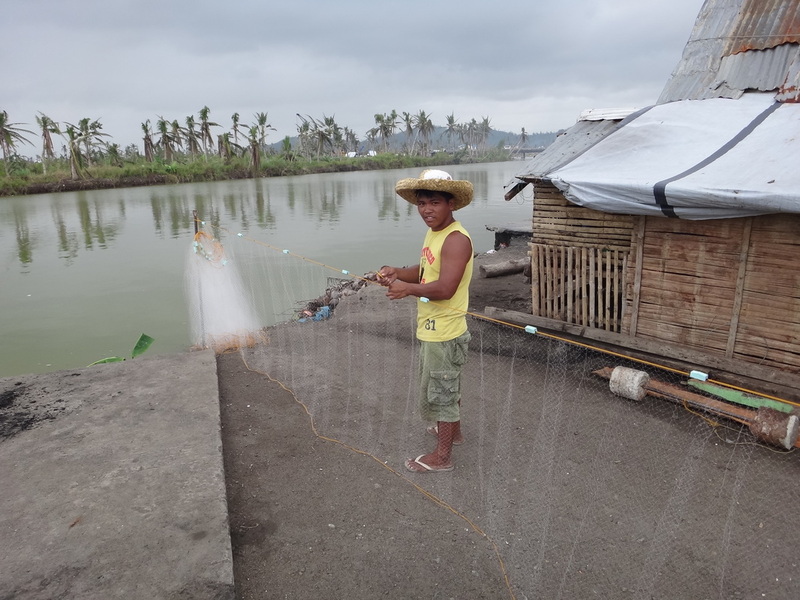 We are survivors of Yolanda, they say with a smile as they try to clean up and get back to a normal life. That is “a normal life” with little food, no electricity and no roof on your house. It is good we together, can bring some help. 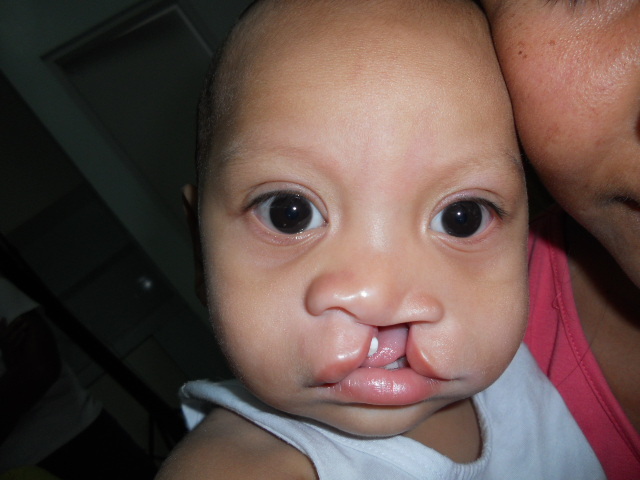 We are grateful to God for enabling us this month, to help 22 children that needed operation for deformities on cleft lip and palate. 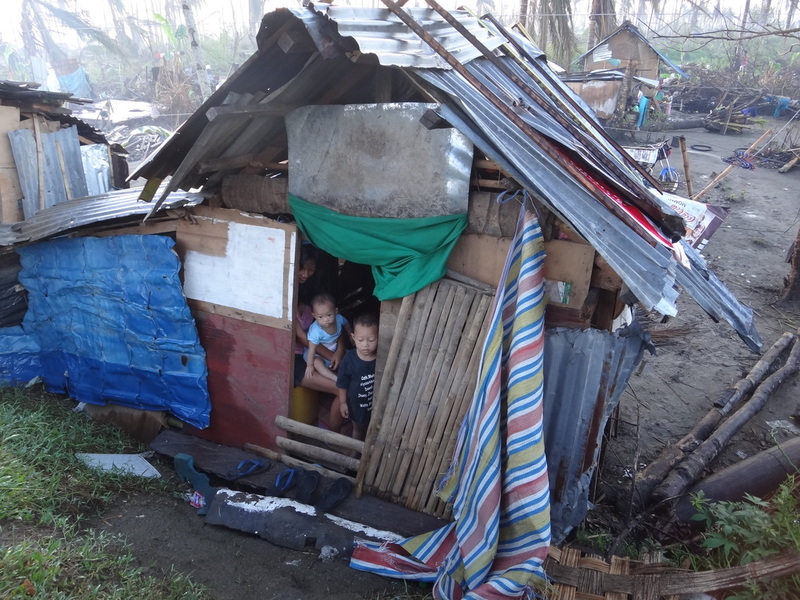 It is always heart breaking to see these children in the different villages and together with an organization of doctors called: ”The Philippine band of mercy”, we have been able to help all the children we know of having this kind of problem in the whole province of Occidental Mindoro. We were allowed to use the operating theatre in the provincial hospital in Mamburao. Gemma Parcia has done an outstanding job arranging the whole program. The Provincial Health Office and Provincial Government of Occ. Mindoro are also really grateful for this surgical mission. It is good to help the children as early as possible. We notice that some of the older children are emotionally affected because they are victimized. But we trust the outward healing also will result in an inner healing for these children. We do have pictures of all the 22 children, but we let a few of them say thank you on behalf of all of them. It is amazing that we can help these children to a new life for the cost of only 50£ per child, because the doctors work for free and we did not have to pay for using the operating theatre in the hospital. The only cost was transport and medicines. Some of the families stayed overnight in our heath center in Mindoro to reduce the risk of infection after the operation. In the medical checkup three weeks after the operation it turned out that all 22 operations were successful. got triplets a few weeks earlier. The premature triplets were fine, but against all advises from us and the hospital, they went back to the village after one week, because the grandfather in the family had made a decision (age is no guaranty for wisdom). 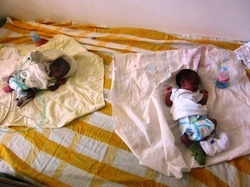 After two weeks the babies got very sick because of dehydration and they came back to the hospital. One triplet was so weak it died and now the family wanted our help. We were able to bring the two last babies to National Children’s Hospital for treatment. The local hospitals do not have the expertise on premature babies. Thank you for helping us to help the poor and downtrodden! two sick children to go to the hospital. 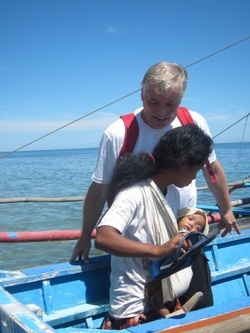 As we went back to Abra de Ilog, they came with us in the boat. They had no money for transport to the hospital. As Tone arrived at the hospital with this lady, she met a man that we know from one of the villages. This morning his wife and baby both died in the hospital as she gave birth and something went wrong. In his sorrow he had a big problem, the whole morning he had been trying to get transport to bring the two bodies from the hospital to his village for the funeral. He had no money for the undertaker and nobody wanted to make their vans unclean by dead bodies! We became Gods answer to his problem since our van is in the service of the King and can’t be made impure. Today we were the first Civil Society Organization to sign a Memorandum of Agreement with Department of Social Welfare and Development in our region for a program called Family Development Sessions Plus. We will teach and help 1.890 families on Value formation (Family life and Parenthood), Health care, Education and Livelihood. Working together hand in hand we can help more people. Vacation Bible School (VBS) is a wonderful camp program for children. 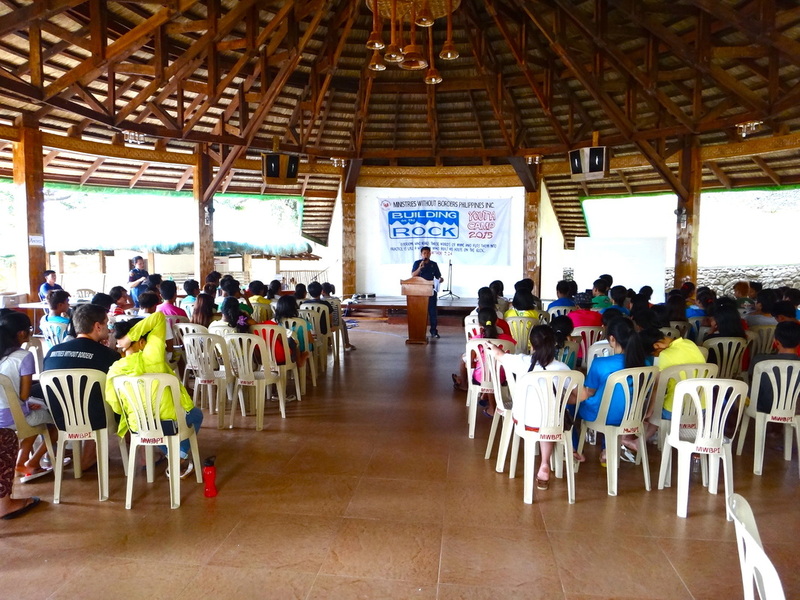 Children come together for 3-5 days for different activities with Bible studies. They are memorizing bible verse, learning new songs and dances, listening to the word of God and doing some games and sport together. This month of April we have 2000 children going through the program and they enjoy it so much. They all say: “thank you for letting us join the camp”. Some of the VBS we do with the local churches in the area. When their building is too small, we use our emergency tents. It is good to practice putting up the tents , so we are ready for the relief work also. 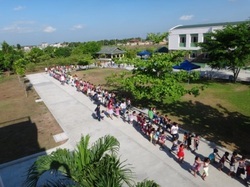 As the VBS started with 200 children at our center in Cavite, we first had the parade, the national anthem and then the word of God before we learned some new songs and dances. Great time together! Medicines from Canada is a great help! the Lord because all special medicines he needs, are available in the supplied we have from MWBPI. The boy is very thankful and received salvation from Jesus and medical help because of the His love . Freedom comes through happy obedience to Jesus. Santiago came in the end of November: Praise God! There are 16 inmates that were released from prison this week! We heard different testimonies of how God have changed their hearts from the inside and preserved their lives while in prison. Before going home to their different places, they came to our house to thank God for using us to bring them to Jesus. One of them stayed here for 3 days and helped Eddie painting the house. His desire is to serve God with his family and for God to use him, specially in jail ministry, the very place he himself received Jesus into his life. They are all grateful to the Lord for coming home to their families this Christmas. And they are excited to have their own bibles. Thanks for sending bibles. Austin, our nurse, is inspecting the construction. 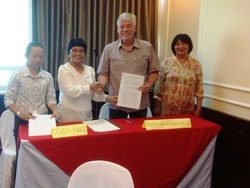 Our health team at the Iselin center is now pioneering a new project in two villages in Mindoro. There have been no toilets in the villages, and because of that children and adults are getting a lot of intestinal worms. If we can train the people to use toilets and not just go around the corner, there will be a big health profit. The people in the villages are very cooperative and understand more the importance of cleanliness. 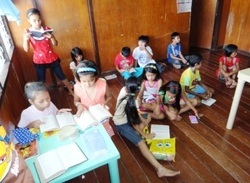 We see a growing desire to read the word of God in the Philippines. There is a bright future for a nation that long for God’s word and ask for his ways. We have the last weeks distributed Bibles to several new-planted churches in Cavite, to the mothers living at the dumpsite, to churches in Mindoro and to the Mangyan people. Two of our workers, Austin and Noel, visited a very remote Mangyan village in the mountains and it took them two days to go there and back. 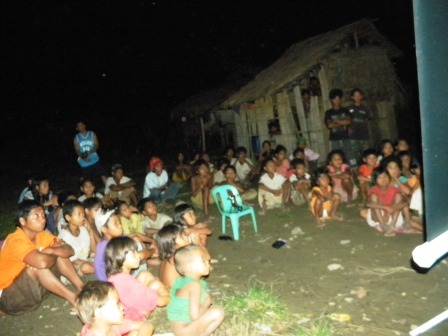 In the village they found a vivid church with people loving the Lord. They asked for Bibles and we are happy to help them. 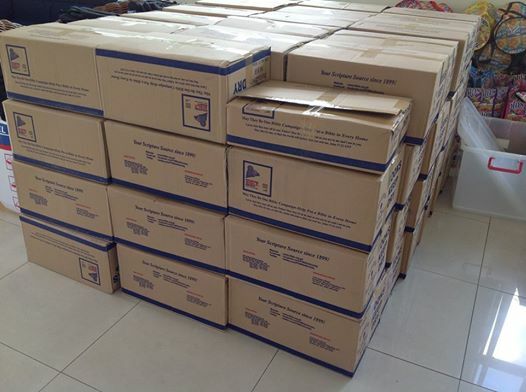 This last week we sent more than 1300 bibles to our churches in Mindanao to use for the new believers there. Today almost 1000 people were gathered for our 8th year anniversary and thanksgiving in Midsayap. The love of God unites people from different ethnic groups. Every Saturday PWD (People with disabilities) association meets at our multipurpose house in Pigcawayan to make floor wax. 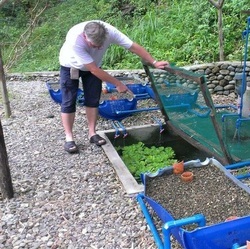 This is a great livelihood project giving them some necessary income. Here pastor Eddie and the president for PWD is explaining to Erling Thu how they do it. Many of the disabled people have joined the church and found a new home with love and care. 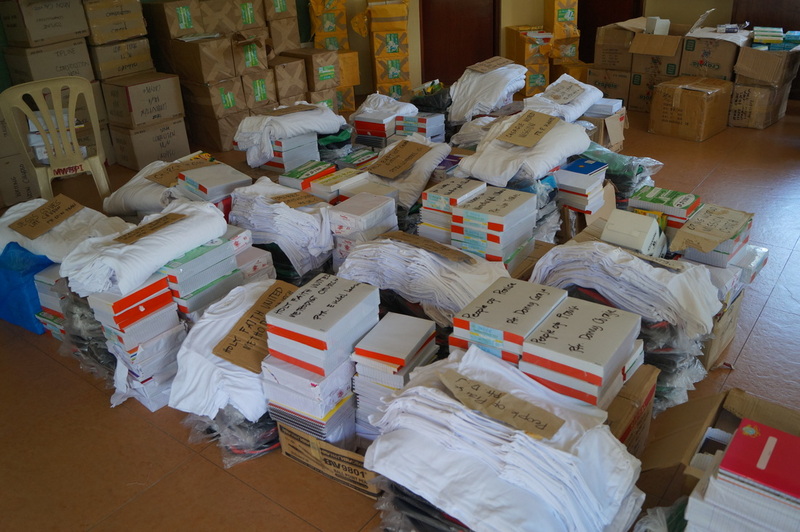 The floor wax is neatly packed and sold through the schools in the area. It is called Chrystel wax and has our logo on the cover. The whole project is very well received in the community. power. 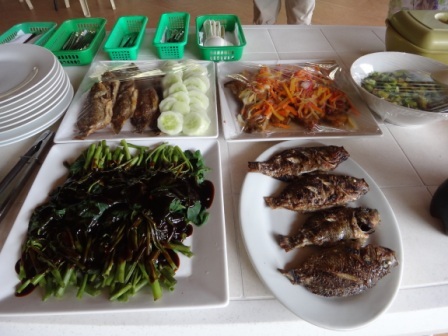 We have now enjoyed the first meal with tilapia fish from our pond. (see picture below) As we learn how to run this well, we will teach people in the Mangyan villages how to do it, and they can have more healthy food in the seasons with shortage of food. In different villages in Mindoro we are doing a pilot project to promote good health and wellness. One nurse and three midwives are educating the people in cleanliness, nutrition and health promotion. Part of the program is to strengthen their spiritual life. Even though there is no electricity, we have a small projector that runs on battery, which enables us to show the Jesus film from the gospel of Luke. 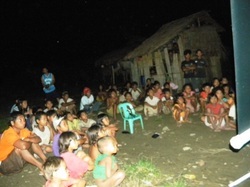 It is the first time they have a film showing in the village and we work together with the local church in the village. 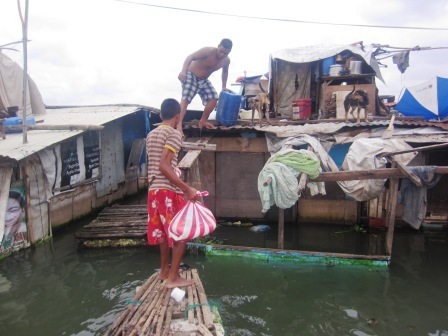 Some places in Taytay in Manila, the water is still high and people can only use top floor in their houses. Here the team gets ready for distribution of food to some 300 families. It is good we can bring hope in a demanding situation. The love of God is reaching to people in all walks of life. It is good to be with my friends in Ozamiz. The church here with Jo Jo and Helen Alvarez has found new ways of helping the poor and the down trodden, giving them dignity and showing them that God loves them.Every worship service in the church in Ozamiz (two each Sunday) there is four children’s meetings going on. They learn the word of God and know how to use the Bible from early age.